TERRIFIC MYSTERY AND CRIME BOOKS AND MOVIES EVERY MONTH! 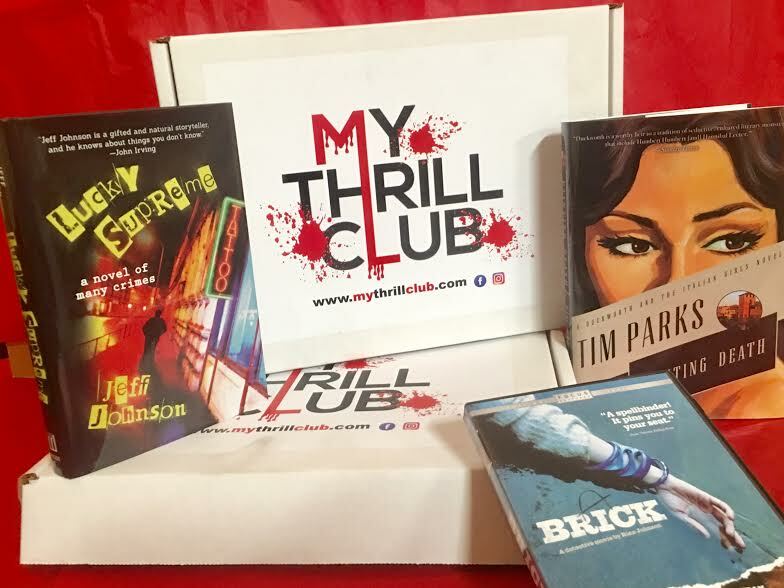 We’re excited to introduce you to My Thrill Club – the leading horror themed subscription box on the market! For less than the cost of one hardcover book, they send you two books and one DVD from your chosen category every month. Or you can choose one book and two DVDs. You choose the genre you like — Thriller, Crime, and Mystery, Horror or “Surprise Me”— and My Thrill Club curators will select HARDCOVER books from among the thousands of titles in their inventory. You also can choose to receive two books and one movie or one book and two movies. They pack your selections and ship during the first week of the month. A few days later a box arrives on your doorstep. The only thing left to do is open it and enjoy a month of entertainment! Recent book selections included: Season to Taste by Natalie Young, Dominion by C.J. Sansom, Elizabeth is Missing by Emma Healey, The Sound of Things Falling by Juan Gabriel Vasquez, His Bloody Project by Graeme Macrae Burnet, Cut to the Bone by Alex Caan, The Fuhrer Must Die by V. Andre King, Lucky Supreme: A Novel of Many Crimes by Jeff Johnson, Painting Death by Tim Parks, Among Thieves by John Clarkson and, Eternal Sonata by Jeff Metzl. DVD selections have included: The Girl With the Dragon Tattoo Trilogy, Basic Instinct, The Dancer Upstairs, The Matador, A History of Violence, After Sunset, The Debt and, Eastern Promises. For a limited time only, My Thrill Club is hooking us up with a special discount code “CRIME” to save 10% off your first purchase!